in the Victory Field west parking lot. 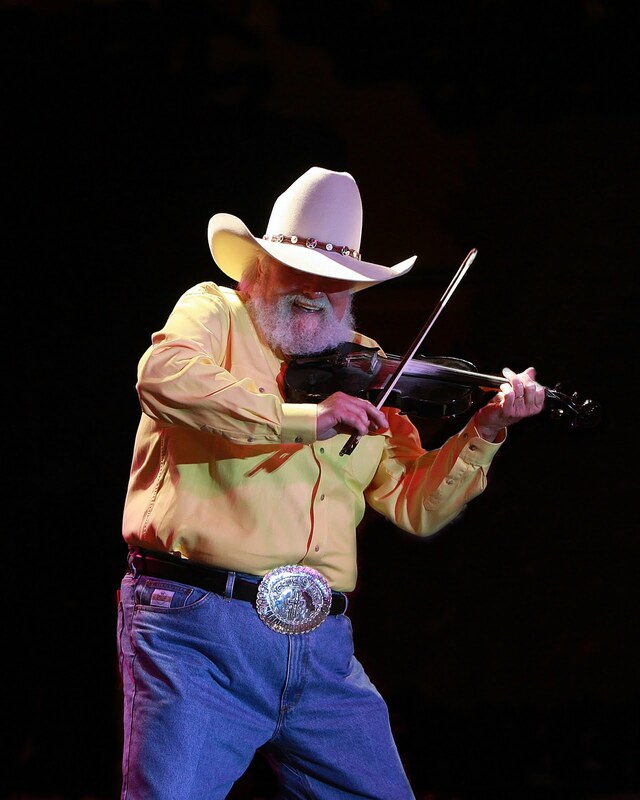  Big Boned BBQ Co.
 Cowboys Barbeque & Rib Co.
general admission. For more information and to purchase tickets, visit indyrockandrollbbq.com. Elizabeth J. Musgrave is a syndicated columnist, travel writer, performing arts and restaurant critic. Catch her as Indy’s Arts & Entertainment Adviser on 93 WIBC, and follow her on Twitter @ejmusgrave1 and Facebook. Capri Ristorante: The Flavors of Italian Tradition is the recipe book created with love (or should I say, "creato con amore"?) by Capri Ristorante's owner Arturo di Rosa. The Italian eatery is located at 2602 Ruth Dr., on Indy's northside. Tucked away behind a dense shopping area (close to 71st and Keystone Ave.,) Capri's may be considered a hidden treasure in the Circle City. I was given this cookbook as a gift while dining at Capri's for lunch recently. 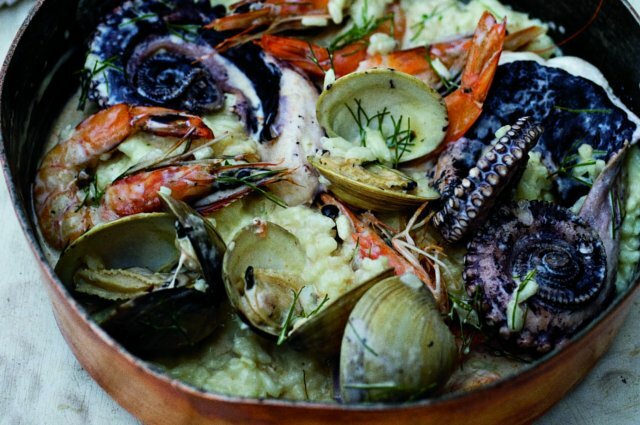 Born in a fishing village near the Bay of Naples, di Rosa began culinary schooling at the age of 14 in Salerno. He began working in restaurants in Florence, Rome, and, eventually, The Savoy in London. He literally worked his way from the bottom up. He landed in our town after being invited by customers (along his culinary path) to attend the Indianapolis 500 and liked the city enough to stay. Although I ate lunch at the eatery, I did not take notes or pictures for a full review; I plan to return for one, however. For now...I will review the book. 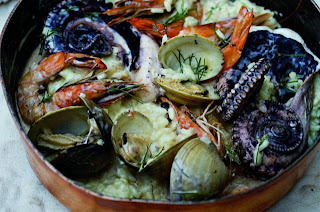 It is certainly more than a cookbook, or recipe book as di Rosa calls it. It embraces Italian culture, passion and history. It covers di Rosa's path to Indianapolis, his beliefs and the exact recipes and methods used in Capri Ristorante. 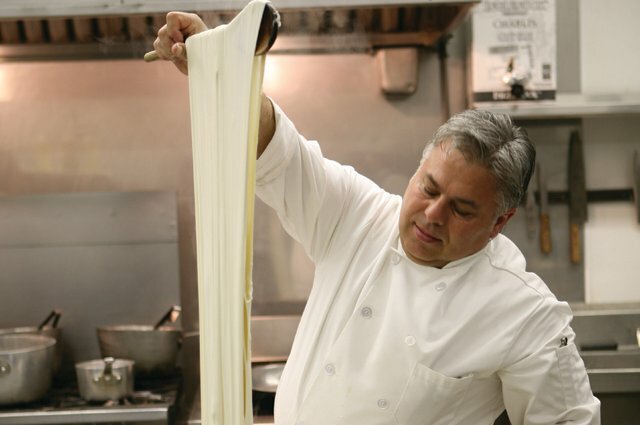 Whether explaining the importance of making pasta in-house, and including the how-to to achieve great results at home, or giving out special sauce recipes, this book takes you into the kitchen of Capri's Chef Gennaro di Rosa (brother of Arturo). Pictures and tips are placed throughout to help you along the path. 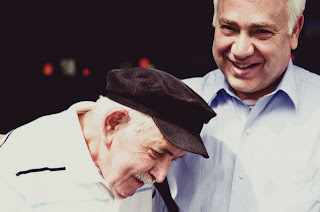 Pictures and descriptions of the restaurant, the staff and family create that hospitality for which Italians are known. The Lasagne Bolognese (p. 62) offers the recipe for the needed Bechamel sauce, while a modern spin can be found for Spaghetti Carbonara (p.55). A favorite of foodies, Osso Bucco, is covered (p.113) Milanese-style, complete with a Gremolata recipe. Although there is not a dessert section, stocks, sauces and soups are covered. With more than 80 varieties in stock, di Rosa offers his theory on choosing wine for your meal. "Taste is the bottom line, he states in the book. "If you like it and the price is right, that's the best wine for you." Bottom Line: Capri Ristorante The Flavors of Italian Tradition serves up recipes, wisdom and that all-important feature: Italian hospitality and passion. NOTE: To see list of vendors, wineries, breweries, restaurants, click here. INDIANAPOLIS (June 27, 2011) – Dig-IN, A Taste of Indiana, is looking for volunteers to help with the second annual event, Aug. 28 at White River State Park. Dig-IN is a showcase of Indiana chefs, growers and producers. Visitors are treated to two-ounce tastes of unique dishes made with farm-fresh Indiana produce and proteins. More than 30 of the state’s greatest chefs and food minds will prepare the tastes on site while discussing their recipes and the all-Hoosier ingredients with visitors. “Dig IN combines the best Indiana has to offer in the way of food and culinary creativity,” said Ann Schmelzer, program manager for entrepreneurship and diversified agriculture with the Indiana State Department of Agriculture. Even the beverages used to wash down the tastes will have an Indiana flavor: The Indiana Wine Grape Council and Brewers of Indiana Guild will provide wine and beer tastings, and local soft drinks and water will be served as well. Local music, urban gardening exhibits, educational discussion panels, local expert Q&A sessions will round out the day. “Last year, we found people really enjoyed the food, the speaker series, the entire atmosphere of celebrating and focusing on Indiana from farm to fork,” said Neal Brown of Neal Brown Hospitality Group, which operates Pizzology and the soon-to-open downtown Indy restaurant, The Libertine. Volunteers are needed to help with hospitality, ticket sales, children’s’ activities, chef/speaker/band assistance and other tasks. Volunteers at least 18-years-old are asked to attend a training session in advance and work a minimum of 2.5 hours. Volunteers receive free parking, free admission and a T-shirt. For more information or to complete a volunteer application, visit www.digindiana.org/volunteer/. Applications are due by Aug. 15. WHEN: Sun., Aug. 28, noon-5 p.m. COST: $20 in advance, $30 at the gate, children under 3 are free. For tickets, event schedule, and hours, please visit Indianahistory.org. The Bread Ladies is a restaurant located in the heart of Greenfield, just east of Indianapolis in Hancock County. The bakery/eatery features its own bread and baked goods, along with sandwiches, soups and salads. On my first visit, I ordered the Signature Bread Ladies Foccacia Sandwich. It comes with ham, turkey, roast beef, vegetables, such as carrots, cucumber and peppers, and their signature smear. Their smear is cream cheese with Italian seasonings (according to the server). This sandwich was large…two meals large. I learned from the first visit to take half home to leave room for dessert. At $7.95, including chips, the value was definitely there. As was taste. Although I am not a fan of cucumbers, sliced thin and layered with other vegetables and meats, gave the sandwich a nice crunchy texture. I definitely want to return and try more items like the Reuben, chicken salad and the peanut butter chocolate chip cookie. The prices were in line for the “from scratch” food. The staff was friendly and the menu clearly defined. There is some seating out back on a deck, and the food was delivered to our table in a timely manner. Both times I visited, the temperature was extremely chilly. I recommend wearing a heavy shirt (or two) since it seems to be common. Also note that anything you get extra has an up charge. The ones we encountered were $1 for cheese, .75 cents for smear and .75 cents for raspberry flavoring for lemonade. Entering through the door, you are immediately greeted with jumbo cookies, brownies and muffins. Piled high and stacked in clear jars, it’s difficult to pretend you want anything off the menu besides those goodies. You order a salad or sandwich while glancing regularly toward the glass cases for reassurance there will be post-meal snickerdoodles. Or bread pudding; which is what I ordered. Regular readers will remember my passion for excellent bread pudding. This version, at $3.25, was good. Not my favorite (Magdalena’s in Corydon, IN still holds that title) but good with a butter sauce, obviously handmade, and hot. They did not disrespect the pudding by putting in raisins, pineapple or peaches. While checking out the website, thebreadladies.com, I was unable to peruse the menu. A message stated, “You are not authorized [sic] to view this resource. You need to login.” This could be an issue for the café since people often check out menus online before going to a new restaurant. It might influence them to go to another where they are able to see a menu beforehand. In a time when websites are often the front door to the potential customer, this one’s potential will rise if they fix that glitch. Bottom Line: The Bread Ladies serve up quality ‘from scratch’ sandwiches and baked goods in a casual, small town friendly atmosphere. Indianapolis City Ballet is proud to announce that international ballet star and soloist from American Ballet Theatre Daniil Simkin leads the roster of stars for the annual Evening with the Stars performance on September 10 at the Murat Theatre at Old National Centre. Daniil’s performance last year in “Le Corasire Pas de Deux” (with Boston Ballet’s Misa Kuranaga) was astonishing in its technical bravura and his signature “Les Bourgeois” brought down the house. Daniil Simkin will also be performing on the Young Stars of Ballet program on Friday, September 9 at 7:30PM at the Murat Theatre at Old National Center. “We want to give these young and emerging stars of ballet an opportunity to perform on a program and participate in rehearsals with today’s stars so when I mentioned the Young Stars program to Daniil, he graciously and excitedly joined the program - as he said ‘I’m happy to do it for the kids’” said ICB producer Kevin Hesse.. Ticket Information – On Sale Now! Group discount available for groups of 10 or more: Contact Elli Baker at 317-339-1413 or elli@indianapoliscityballet.org. 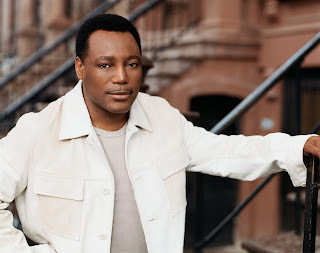 INDIANAPOLIS (June 9, 2011) – The Indy Jazz Fest, presented by Marsh, announced Thursday, June 9, that multi-Grammy award-winning musician George Benson will be its 2011 festival headliner. The artist announcement party at the Indianapolis International Airport marked the beginning of the festival's 13th year and a celebration of the festival's year-round dedication to strengthening the Indianapolis jazz and arts scene. This year's featured venues include the Madame Walker Theatre, Cabaret at The Columbia Club, The Jazz Kitchen and the Christel De Haan Fine Arts Center at the University of Indianapolis, all leading up to the outdoor grand finale on Saturday, September 17 held on the grounds of Opti-Park and the Indianapolis Art Center in Broad Ripple. Gates open at noon with music on three stages from 1 p.m to 11 p.m.
Now in its third year as presenting sponsor, metro Indianapolis Marsh Supermarkets will again serve as the ticket outlet for purchasing advance discount tickets. Discount tickets will go on sale August 1, 2011. Attendees can pay only $25 on the regular general admission ticket price of $30 when buying in advance at Marsh Supermarkets. New for 2011 is a VIP membership ticket and the return of the popular week-long JAZZpass. 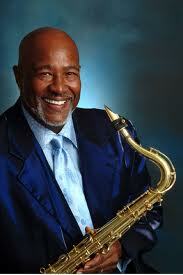 The VIP and week-long passes are available online at www.indyjazzfest.net. Additional support for the education and performance programs can be given through theIndy Jazz Fest Membership Program, with packages starting at only $50. Holy Rosary Parish, 520 Stevens St., Indianapolis, opened its annual Italian Street Festival last night with a quickly growing number of people for the perfect weather. Catholics and non catholics are welcome for this fundraiser held, literally, on the steps of the south side's parish. A favorite part of the festival for me is people watching. And the food. And people making food. Every year dedicated volunteers roll up their sleeves (figuratively) in the 90+ degree weather and the scorching sun to dish up meatballs, spaghetti and cannoli. No good Italian festival is good without Italian beer and wine, however, and there was plenty of beer chilling on ice and wine being uncorked. I didn't find a couple of traditional items this year. I asked and looked around but did not see the cigar lady rolling her handmade smokes this year. I also failed to find my beloved gelato. Not sure if I somehow overlooked both of these tents, but no one I asked seemed to know where, or if, those were available this year. If you find them, let me know; otherwise the festival won't be the same for me. The family friendly event offers a mini-Midway alongside the parish and includes rides and games. You can find rubber ducky games, dart-throwing and basketball tossing. Rides include a carousel for the little ones as well as older kid's rides. The best part of this festival is the spirit of the people who hold it and those who attend. 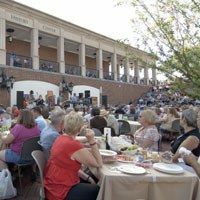 Everyone's spirits are high and welcoming, joking and laughing while they dish up hundreds upon hundreds of their goodies for those wanting to capture the flavor of the Italian cuisine and culture. Note: The Italian Street Festival is held the 2nd weekend of June annually (in case you missed this year's). Elizabeth J. Musgrave is a syndicated columnist, travel writer, music, restaurant and performing arts critic. Catch her as Indy’s Arts & Entertainment Adviser on 93 WIBC, on aroundindy.com, and follow her on Twitter @ejmusgrave1 and Facebook. What do you get when you combine William Shakespeare and Walt Disney? 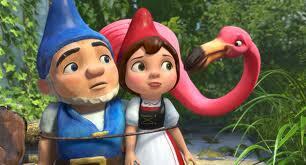 Well, in this case, you get Disney's Gnomeo & Juliet, now in Blu Ray and DVD. 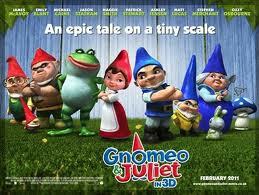 Watching this movie, and being a fan of the Bard, I couldn't help but revel in the animated version. Shakespeare tale of two feuding families. A boy and girl from each side falling in love, and the angsts which follow, play out well for the family. Very well, actually. With talking gnomes, runaway lawnmowers, and each garden statue tribe trying to outdo the other in regard to their respective backyards, the modern take holds up for young audiences. The Capulets and Montagues are seen as the Reds and Blues in this Disney delight, with voice talents from Sir Michael Caine, Emily Blunt, Dame Maggie Smith, Dolly Parton, Ozzy Osborne and more. Music is furnished by Sir Elton John. Specials include: alternate endings, music videos and Ozzy Osborne segments. Bottom Line: Disney's Gnomeo & Juliet is an excellent teether for future Shakespeare fans and a delightful twist for fans of all ages. 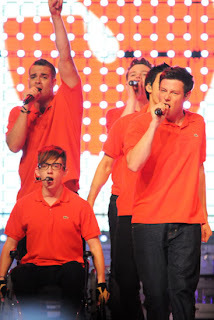 Love it, hate or never seen it, Glee, as in the television show, has become a household name. 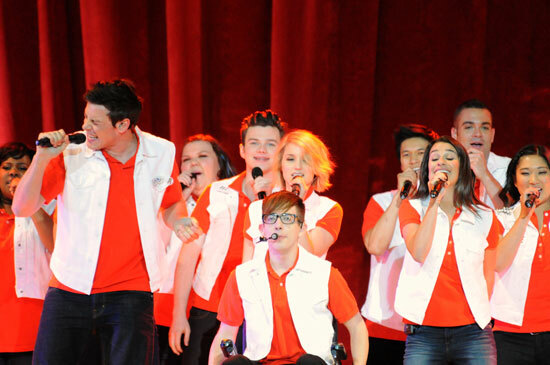 Glee Live! made a stop June 2 in Indianapolis, Conseco Fieldhouse, to the satisfaction of several thousand screaming teens and adults. What's in store for anyone in future cities for Gleeks (Glee fans)? Cheerleaders (aka Cheerios) handing out "barf" bags, video time with Coach Sue Sylvester, and a nonstop, positive energy show with the message that whoever you are is exactly who you should be. Total acceptance. The show features the popular TV characters, Kurt, Santana, Brittney and the rest of the club dancing, singing and joking their way in to the hearts of loyal fans, (portrayed by Chris Colfer, Naya Rivera and Heather Morris, respectively). Interspersed with audience interaction, the singers demonstrated their talents most in Mercedes' (Amber Riley) rendition of Aretha Franklin's "Ain't No Way," The Warbler's version of Paul McCartney's "Silly Love Songs," and the Kurt-led, lip-synched Beyonce hit, "Single Ladies," which proved a crowd favorite. The phenomenon known as Glee can be compared to a mini-Beatlemania (or whichever fan-crazy star you wish to insert). It seems that the mania craze IS the craze. No one is stopping the 'tweens, teens and twenty-somethings from going ga-ga over their favorite group. The joy in delving into their artist of choice is pure and marvelous to witness. The non "Beautiful People" crowd is enjoying a high like never before. Celebrities, artists and television shows are embracing their un-Barbieness and raking in the fans (and money). Lady Gaga, Adam Lambert, Pink, Glee and Ugly Betty are just a few examples of "out" being the new "in." And Glee is right there at the top. Every gender-, social-, and ethnic-, issue is addressed by the Glee Club, a group so diverse Josephine Baker would be satisfied. For those of you who are too young, or are just unaware of the ugly duckling/swan story of Ms. Baker, it's good reading...and viewing. You can find more information on Youtube.com. 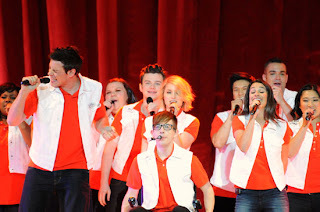 Bottom Line: Gleeks everywhere will be gleefully satisfied with the Glee Live touring concert...and barf bags won't be necessary. INDIANAPOLIS – The Indiana Pacers will host the “2011 Pacers Draft Party,” on Thursday night, June 23 in Conseco Fieldhouse. The party, which has drawn over 5,000 fans each of the last three years, is free to all Pacers fans. Doors open to the general public at 7:00 p.m. The first 1,000 fans to RSVP online at Pacers.com will enjoy “dinner on us” as the Pacers will provide a hot dog, chips and soft drink to each member of the family. Pacers gold rally towels and a Pacers.com Draft Guide will also be available. Fans at the party can enjoy face painting, balloons and more; and prizes will be awarded to lucky winners. Additionally, all fans attending the Draft Party receive free parking in the Virginia Avenue Garage (subject to availability). Former and current Pacers players, Boomer and the Pacemates will be on hand to meet and greet the crowd throughout the evening. The in-arena coverage of the draft, featuring Pacers announcers Chris Denari and Quinn Buckner, will begin at 7:00 p.m. ESPN’s coverage of the draft will begin at 7:30 p.m.
To get ready for the 2011 NBA Draft, fans can visit All-Access Draft Central on Pacers.com for exclusive scouting reports and video interviews with all prospects as well as frequent blog updates from Conrad Brunner and Mark Boyle and a mock draft database. For additional information, contact Pacers Sports & Entertainment’s Public Information Department at (317) 917-2500. Square Rootz Deli, located in the heart of Indy's historic Fountain Square neighborhood, was recommended to me by New Day Meadery owner, Tia Agnew. 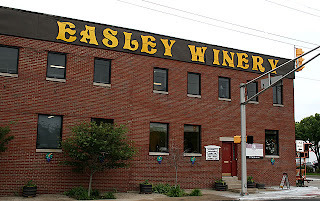 The deli is located at 1110 E. Prospect St., just two doors down from Circle City's newest winery. My first trip to Square Rootz was a quick stop in for a take-out order. When you enter the deli, the laid back attitude steps up to greet you. Concerned with giving back, owner Jeff Reuter makes room for a local vinyl record dealer's wares on the left side of the dining area and artwork from an Indy-area school on the right-side walls. I ordered the Beefy sandwich ($8) and a side of a grape salad ($1.85). The sammy came wrapped in butcher paper and was marked BEEFY, I like that. It was piled with juicy beef and served on grilled rye bread. Pepper Jack cheese blends in with the horseradish sauce, lettuce and red onions, taking it up notches from most zesty sandwiches. The grape salad includes grapes coated with a cream cheese dip and nuts. This meal could prove to be addicting. The second visit happened, unfortunately, while the owner (Reuter) was in and upfront so I was spotted during my review. If you know me, you'll know that won't alter the rating a bit, however. I just prefer to let you know when it happens. He is as personable as his staff and the service proved as friendly and helpful (and patient) during the subsequent visit. My order, a Reuben sandwich ($8), came with 4 oz. corned beef, 1000 Island dressing, and sauerkraut. The dressing is mixed with the kraut to prevent dripping. I was more impressed with the Beefy than the Reuben. The Beefy was juicier, seemed more filling and more of a value as I had plenty for leftovers. If you are comfortable paying $8 for a Reuben, and the dripping of sauerkraut juices has been problematic, then you might want to try this one. I have a difficult time recommending $8 for any sandwich, even the Beefy. Although...it was large enough for two, which justifies it in my mind. The website (www.squarerootzdeli.com) is fun, informative, loads quickly and promotes the personality of the eatery online. In fact, I would say it is one of the best I have seen for a restaurant. The one drawback is the events tab which has no listings for the current or upcoming months. It may have been discontinued and not deleted. Otherwise, it is a great site with directions, map, and contact information (including the owner's name) listed prominently, along with complete menus. Bottom Line: Offering great sandwiches with unique twists, Square Rootz Deli is located conveniently to bring good deli food to the Fountain Square area. Reviews are based on the traditional 1-5 stars in six separate categories: Appearance, Menu, Service, Product, Style and Website. Why websites? My unofficial poll revealed the majority of people check a site before deciding where to put their money. Elizabeth J. Musgrave is a syndicated columnist, travel writer, music, restaurant and performing arts critic. Catch her as Indy’s Arts & Entertainment Adviser on 93 WIBC, on aroundindy.com, and follow her on Twitter @ejmusgrave1 and Facebook. Email: elizabeth@gottago.us.